Autumn, 1888. The population of London is transfixed and horrified by the atrocious murder spree being conducted by Jack the Ripper. While Metropolitan Police Commissioner Charles Warren throws the bulk of his investigative resources into the search for The Ripper, another, less well publicized killer is at large. Tucked away on the inner pages of the daily press, one may have found a few short articles which told of the strange, unsolved murders which are taking place on board the carriages of the new-fangled and much-heralded transport system. Each murder takes place the day after the Ripper killings, as the murderer appears to be taking advantage of the lack of police resources to tackle not one, but two major investigations simultaneously. Inspector Albert Norris is charged with bringing the railway killer to justice, but clues are few and the killer's motive unclear, and Albert is forced to carry out his investigations 'quietly and without causing a public panic' as the authorities seek to prevent a loss of confidence in the safety of the underground railway system. The press are being told even less, hence the minimal coverage, and Norris can count on little help from above as he attempts to solve the inexplicable series of murders. The horrific discovery causes her to be incarcerated in two madhouses. Doctor Bannion, superintendent of Marsh Asylum, helps his favorite patient obtain a position as governess at Blackstone House, but why is he so adamant? The house, her charges tell her, is built on haunted moorland. Nothing is as it seems for Blackstone House, and its inhabitants have hideous secrets; the greatest secret of all being that of the blood. Amid the unimaginable horror there is love - which comes at a terrible price. The House on Blackstone Moor is the first novel in Carole Gill's Blackstone Vampires Series. It is an epic tale of the eternal struggle of good vs. evil, and a story of love that strives to prevail, despite all odds. Jeanette is a girl with many powerful enemies. Having fought off her own traitorous family, young Jeanette and her mother Henriette seek refuge with the desperate revolutionaries of 1789 Paris. Yet no refuge is safe when dangerous men attempt to foment great, king-killing changes. Discovering a dreadful secret of the revolutionary leaders and hunted by her mad, driven cousin Gilbert, the two women become desperate exiles. They face a near hopeless fight to survive the Temple, an infamous prison, and the festering age of Terror, while being searched for by their powerful enemies. They find hope in the army where a handsome, if impossible captain gives them shelter from Gilbert and even the Jacobins. Here, Jeanette learns of love and finds a firm family in the ranks of the revolutionary army as a cantiniére. But even with the help of her new, rugged family and the brave captain, can she take the fight to Gilbert and his masters, and win peace for herself and her family? When the good people of Cranston, Texas learn that a hometown boy has been killed in Iraq, they set about mounting a proper welcome for their fallen hero. But nobody thinks to ask the boyʼs reclusive father if such a memorial service is wanted, much less welcome. Not one to make waves, Joe Morton goes along with the townsfolk until, at last, he can bear no more. Joe finally tells Cranston just how he feels. If no one expected what happened on the Fourth of July, they are wholly unprepared for what happens next, least of all Joe Morton, whose sole act of independence brings to Cranston the two things nobody wants: change and the outside world. The Patriot Joe Morton was first-runner-up for the 2010 Pirateʼs Alley Faulkner Society Gold Medal for Novella. If you follow me on Facebook, you have probably already seen the cover. I received my cover before I'd finished writing the book and I couldn't sit on it. I HAD to show it off. Something I've mentioned in a few replies to posts, but haven't officially announced until now - The book is done - well, it's written. It's at the editors right now and I hope to release before too long! Yeah, we have to wait a little bit longer. I'm just hoping it's not too long! As soon as I have a release date I'll send out a newsletter and then a couple days later, I'll announce it on Facebook. I haven't been doing very many personal posts and it's about time to insert one. For those of us in the northern hemisphere, it's fall and sometimes feels like winter. Around here, our weather is the oddest of the odd. We've already had one hard freeze and a fairly significant snow. But, the week after all that cold happened, our temperatures went over 90 degrees. So, my garden was frozen before I was ready for it to freeze. The result is a lot less produce to process. I still have brussel sprouts in the garden, waiting to be picked, but that's it. By the time this post becomes live, I may have already picked them. My kids had a four day weekend last week, so we got busy on the apples. I found so many different recipes I wanted to try. But, I still have apples in the freezer from last year, and until I am able to upgrade to a larger freezer, I'll be dehydrating all of my apples. I've tried two methods to cut the apples, this time. I have an apple peeler/corer. It peels, cores and cuts the apples into pretty spirals. The other method was to just cut the entire apple with my food slicer. These make really pretty rounds. When you get to the core, you can see star shapes and the finished product looks more like chips. You can see both methods of cutting the apples in this picture. Fall is always a great time to bake. I don't do a lot of baking in the summer because it's just too dang hot. But now, the temperatures are cooler (most of the time), so I've been making bread. I LOVE bread. Here is a recipe for my last batch of bread. It made two loaves and the first loaf was almost gone at dinner the night it was baked. This recipe is made for the KitchenAid mixer because all of the kneading is done by the mixer. Mix together 2 cups of warm water, 2/3 cups of white sugar, 1 1/2 tablespoons of yeast. I don't have 1/2 a tablespoon so I had to figure it out. 1/2 tablespoon is equal to 1 1/2 teaspoons). Stir the ingredients together and let sit for about five minutes. Your yeast mixture should be slightly foamy when you add it to the mixer. Add the yeast mixture (yeast, sugar, water) to the mixer. Add 5 to 5 1/2 cups of white flour, 1 teaspoon salt, and 1/4 cup olive oil to the mixing bowl. Turn the mixer on the slowest speed until a dough forms. Once all the flour is incorporated you can turn the mixer to a higher setting to knead the dough. Let the mixer knead the dough for seven to ten minutes. When the dough has become elastic, remove from the bowl and divide in half. Put each loaf into a buttered bread pan, cover with a kitchen towel and place in an area free of drafts. Let the bread rise for about half an hour, then cook in a preheated 350 degree oven for about 30 minutes. Your bread will probably look different than this. I screwed up my recipe. I read the yeast measurement as teaspoons and not Tablespoons - so this batch didn't have enough yeast. Ooops. It was still good, and even pretty. On the faraway planet of Bona Dea, in a society forged by ancient settlers, trouble is brewing. Young psychic Axandra, never comfortable with her gift, is being forced to use it for the benefit of her people as ruling matriarch of the entire world and host to a powerful entity known only as the Goddess. Struggling with her fate, used as a pawn between warring factions, life for Axandra is almost too much to bear. Even the ministrations of her beloved companion, Quinn, may not prove powerful enough to overcome the stress threatening to destroy Axandra's fragile soul. Of Aztecs and Conquistadors' is the definitive collection of Juan Pablo Jalisco's poetry. The selection featured within these pages will carry the reader on a journey not only through the vast beauty of the land that is Mexico, but also serves as a journey through the ages that have helped to shape this at times wild and rugged, but always romantic and awesomely beautiful country and its people. The epic fantasy novel Born of Water races across the world and cultures of Myrrah. Learn more about these intriguing and unique places in this Novel Companion. Details on the various races, cities, elemental abilities - including the forbidden gift of magic - as well as "Day Before" stories for the main characters are contained within the Companion. 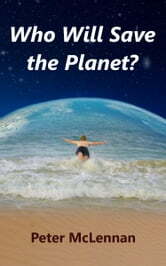 You do not have to have read Born of Water to enjoy the Companion, but it may make you want to! When Ivan, a professional poker player with an uneventful life, meets a mysterious woman at his usual casino, his life takes a drastic turn. Will he find happiness amid the collision of his past and present lives? Since Ivan's wife left, his life has mostly revolved around poker. Shortly after meeting the mysterious Sonya Lewis, his ex-wife appears on his doorstep with a surprise that makes it difficult for Ivan to turn her away. Torn between the two, Ivan tries to balance his relationship with both women while having to learn to take responsibility for the first time in his life. Flushed is a touching story of the complexity and value of human relationship, personal growth and love. Blood Curry is a collection of horror / science fiction and poetry from the NZ serial loony, John Irvine. This book has an added bonus: some genuine gourmet recipes. Recipes? Yes, recipes. Each recipe contains a universal ingredient: fresh animal blood. Want a different kind of entertainment? Something to impress your girlfriend? Your pastor? Then buy this fully illustrated masterpiece. We dare you. Blood Curry is a book that’s out to have fun, to disturb, to entertain and intrigue. With its moments of absudity, the bizarre, horror, and eloquence, there is something on the menu for everyone that likes a bit of the visceral on their plate. Oh, and a glass of the red stuff on the side with a Chianti chaser! Enjoy the feast. Blood Curry has the Adult Content classification for a reason. You have been warned. 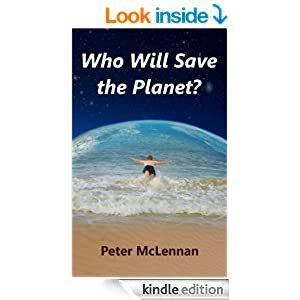 Fourteen-year-old Jason can’t work out how to get something done about climate change—until he saves the life of the mysterious and powerful Graham. Graham promises a reward, and Jason asks for strict emission controls. The request is caught by the media, so Jason thinks the man’s trapped and has to keep his word. But Graham’s got other ideas. Jason’s got a fight on his hands. When Captain John Maddox and his crew stumble across a colony of lost children, they become the only thing standing between freedom of the solar system and dominance by an artificial intelligence that's out of control. Attacks against Martian corporate interests within the colonies of the Solar System begin to escalate, leading to the Martian fleet enacting a systematic purge of resistance groups within the Core Worlds who may harbour members of the group calling themselves the 'Children of Earth'. The crew of the tramp freighter Erstwhile are on the run and soon find themselves drawn into a sequence of events which puts them squarely in the path of a plan to subjugate the people of the Core Worlds, devised and prepared for by the twisted Artificial Intelligence at the heart of the Children of Earth. With the very freedom of the Core Worlds at stake, Captain Maddox has to deduce the real reason behind the attacks and the AI's desire to return to Earth before it is too late, for both him and the free citizens of the inner worlds. In the world of Allwyn, humans are almost extinct. A war amongst the gods, mirrored by their progeny led to the downfall of humanity and the banishment of their god. Now, a thousand years later, the remaining humans eke out an existence on the fringes of the vast empire of the dwarves, who have been tasked by their god to oversee them. In one such settlement, known as the Cradle of the Gods, a young human named Ghile is preparing for his upcoming manhood test and his first Rite of Attrition. The rite is used by the dwarves to seek out humans who show signs of being potential vessels for an insane god’s return. The same rite claimed the life of Ghile’s older brother. Meanwhile, Almoriz the Sorcerer and his over-confident apprentice, Riff, arrive in Ghile’s village for what seems to be just another of their annual visits. But their arrival triggers a series of events that thrusts Ghile into a prophecy that will mark him as the Stonechosen and unlock in him powers of the gods themselves. But Ghile is not alone. Others chosen to fulfill the prophecy travel to the Cradle to seek out the new Stonechosen and destroy him. The time of the Stonechosen has come. Can Dexter and Karen save the beautiful Christina and her brother from the jaws of a living nightmare far more terrible than anything Dexter's own fevered dreams could produce? A year after meeting the enigmatic Christina Radaluc during his investigation into the so-called Vampire Murders in Romania, investigative journalist Alan Dexter finds himself beset by a recurring nightmare. He believes Christina is in trouble, and calling for his help. Dexter enlists the help of his friend and fellow journalist Karen Bailey, who agrees to travel to Romania with him to assist in his quest to find and solve the mystery of Christina's appearance in his nightmares. They soon discover that Christina's brother, a local police officer, has also been missing for months. Their journey in cold, mountainous Transylvania takes them far beyond the realms of the believable, as the intrepid pair enters a dark world of long-forgotten practices and fear-filled corridors. Do vampires really exist? Six friends stand alone against the combined Orders of Fire, Water, Air, and Earth, protecting a girl whose forbidden abilities have condemned her to death. Now they are joined by a man who was once the Curse, the Church's most powerful weapon and Ria's greatest threat. Left with no name and no memory, the decision to aid this stranger will cost friendships and more as the group of friends journey north to seek a tribe of people lost to time amid an ancient war. The path home is riddled with dangers as the Church of Four Orders still seeks Ria and the former Water Priestess Nirine. For one High Priest, the desire for vengeance is personal. Ria must unravel the mysteries of her power to find acceptance in a world where her abilities are considered a taint. Is the strange gift of magic an aberration that should be destroyed or something far more, related to the skills held by the Elementals who rule Myrrah? The sequel to Born of Water, Rule of Fire is the second book in the epic fantasy trilogy, the Rise of the Fifth Order. Return to the world of Myrrah ruled by the Church of Four Orders. In Aspen Falls, danger is brewing. Todd, a 20-something guitarist with a troubled past, comes across a new drug called 'Ash' which is told to have mind-blowing effects. After declining the offer from a mysterious old man, he soon realizes the devastating and terrifying side-effects of the substance. Okay! Yes, I am going to give an update. At the time of writing this (October 10th) I am working on chapter twenty-one. Keep in mind, #5 has not been edited and the chapter numbers may change, but I'm getting close to 60,000 words written and I plan on keeping as many of them as possible. I'm also going to give the first sentence (maybe two) of the first five chapters. Public execution. That’s what the instructions had specified. I got plenty of rest, between actual flight time and layovers, before I landed as close to home as I dared. My heart pounded as I registered at the hotel’s front desk. The Mesa Security sign above the doors to the lodge fit the scene. Jake Jensen was on my mind the entire trip back to the city and invaded my dreams as I slept the day away.